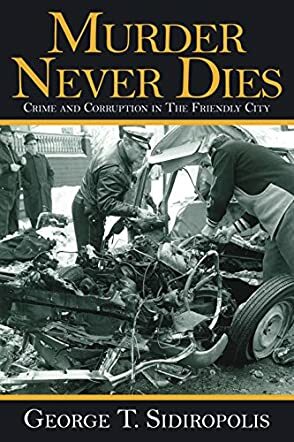 Murder Never Dies: Crime and Corruption in the Friendly City by George T. Sidiropolis is a compilation of true short stories about Wheeling, WV. Mr. Sidiropolis uncovers and reveals a shocking truth about the years of crime in Wheeling; the corruption that tainted the city, earning it the name of Little Chicago. The book details the lives of the people, innocents whose lives were changed forever, people who were left to fend for themselves in a culture of open bribery and decadence that opened the door to an unending cycle of crime, bringing Wheeling into disrepute and changing the face of it forever. Murder Never Dies: Crime and Corruption in the Friendly City by George T. Sidiropolis made for an interesting read. The true crime genre has always fascinated me and this book, made up of lots of smaller stories, was well worth the read. Each story contributes to the larger picture, the whole story about Wheeling in West Virginia, and it was written in a way that draws you in. The descriptive nature of the book kept me hooked until the very end, but I feel that this is not the end of the story, that there is more to come out. The real truth is never as tame as the story the authorities want to portray, and this uncovers some pretty shocking details about the area and the rise of corruption and crime that changed Wheeling for good. I think that any fan of the true crime genre will enjoy this, along with anyone who likes any type of murder or mystery story.